When you have the very best tasting seafood's available on your doorstep it’s important to perfect the very best recipes. 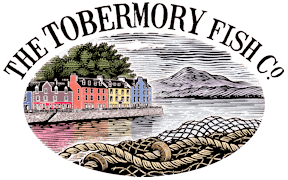 Over the years the Tobermory Fish Company has learnt to enhances the flavour of delicious foods, such as salmon, trout, haddock and mussels during the traditional smoking process. Our master craftsman adds taste through tried and tested family recipes. It’s also important that this is achieved using a natural smoke with no dyes or additives used at any stage in the “cooking”. Over generations The Tobermory Fish Company has created outstanding flavours and tastes by perfecting two traditional smoking techniques. Cold smoking or kippering, as the process can be called (herring kippers have merely borrowed the word) is a traditional Scottish method of preserving fish. Our own precise recipes infuse an exact mixture of salt, herbs and spices to the food during the curing process. This is followed by a long, careful, light smoke to impart a unique, delicate flavour into the fish. Award winning Tobermory Smoked Trout uses this process. Alternatively to give fish a delicious flaky texture and shellfish a delightful taste a hot smoke is used to “smoke cook” the food. The Tobermory Fish Company uses a very carefully controlled smokie heat to maintain the moist texture of the fish while giving outstanding tastes. This process also lends itself to favourite tastes. Tobermory Marmalade Salmon is a perfect example of this process. In 2011, after forty years of continuous production, The Tobermory Fish Company smokehouse was refurbished to the best available standards for food production. Highland Enterprise, the Scottish Manufacturing Advisory Service and Protective Services and Environmental Health, Argyll and Bute Council were closely involved in this work. Processing is in accordance with the recommendations of the SMA and Argyll and Bute Environmental Health requirements. From start to finish our process of food production is carefully monitored and controlled. The quality products produced by the Company generate significant customer loyalty and the much appreciated attention of well know personalities in the world of food.